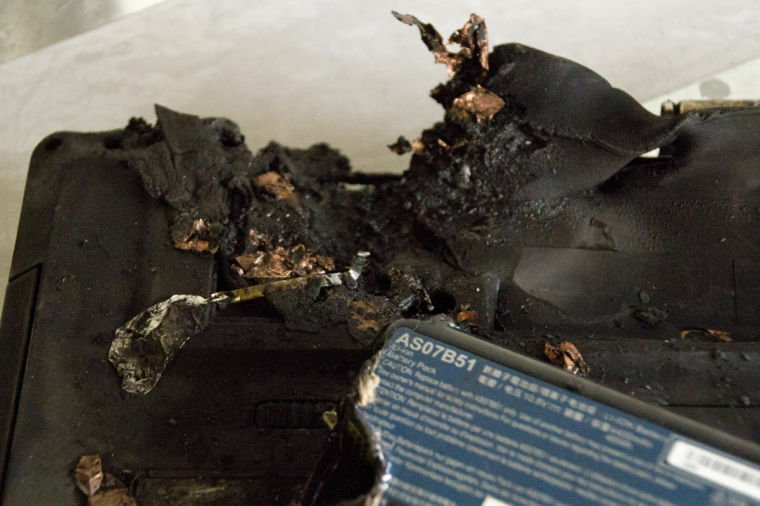 Last month, 100 Pennsylvania firefighters from 10 different fire departments were required to battle a blaze caused by a laptop battery explosion. An exploding battery in a laptop computer sparked a two-alarm fire at an apartment complex Sunday in New Holland. 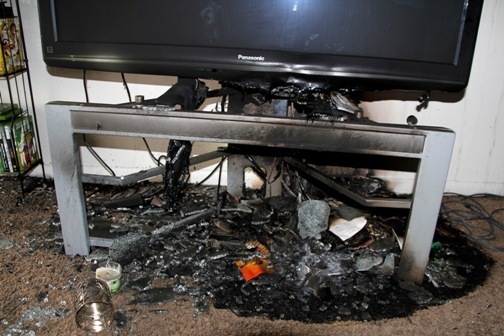 A neighbor noticed smoke and called 911 around 2:40 p.m.
…the explosion set off three separate fires in the living room of the second-floor unit. About 100 firefighters from 10 area departments responded to the blaze. –Posted: Jennifer Todd | lancasteronline.com | Sunday, March 23, 2014 8:26 pm | Updated: 1:31 pm, Mon Mar 24, 2014. 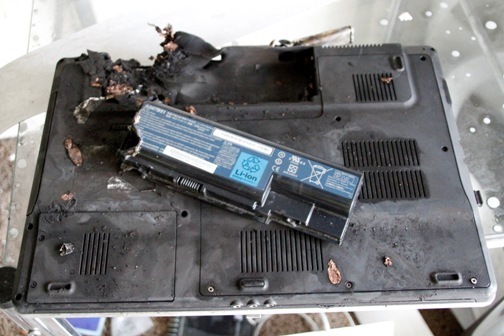 What caused a laptop battery to explode and start a fire? 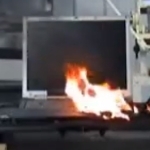 PC Safety, Press exploding laptop battery, laptop battery fire. permalink. I fail to see what this has to do with using and running PCmatic – avoiding battery problems like this is just common sense, full stop. If you’re not sure, then switch it off, end of. Going to tell us anything really helpful, like how the explosion happened? Sorry we neglected to provide a link to the related story. That link has since been added along with our video (a part of our ongoing LiIon battery research) that examined this same topic – last July.